Alcatraz Island and Exploratorium are good opportunities to explore the local culture. Popular historic sites such as Twin Peaks and City Lights Booksellers are in your itinerary. And it doesn't end there: snap pictures at Golden Gate Bridge, see the interesting displays at de Young Museum, admire all the interesting features of Golden Gate Park, and take a tour of SS Jeremiah O'Brien. For more things to do, traveler tips, and more tourist information, you can read our San Francisco trip itinerary website . Sydney, Australia to San Francisco is an approximately 17-hour flight. You can also do a combination of flight and train; or do a combination of flight, shuttle, and bus. Traveling from Sydney to San Francisco, you'll gain 18 hours due to the time zone difference. Traveling from Sydney in March, things will get slightly colder in San Francisco: highs are around 21°C and lows about 11°C. Finish your sightseeing early on the 3rd (Fri) to allow enough time to travel to Portland. Get in touch with nature at Timberline Lodge and Ski Area and Multnomah Falls. Do some cultural sightseeing at Evergreen Aviation & Space Museum and Pittock Mansion. Next up on the itinerary: explore the activities along Columbia River Gorge National Scenic Area, look for gifts at Powell's City of Books, take an in-depth tour of Lake Oswego Preservation Society, and take in nature's colorful creations at Portland Japanese Garden. For maps, traveler tips, where to stay, and tourist information, go to the Portland road trip planning tool . Traveling by flight from San Francisco to Portland takes 4 hours. Alternatively, you can do a combination of train and flight; or drive. Traveling from San Francisco in April, you can expect nighttime temperatures to be little chillier in Portland, with lows of 8°C. Finish your sightseeing early on the 6th (Mon) so you can travel to Yellowstone National Park. Get some historical perspective at Fort Yellowstone Historic District and S Rim Trail. Escape the urban bustle at Aurum Geyser and Solitary Geyser. 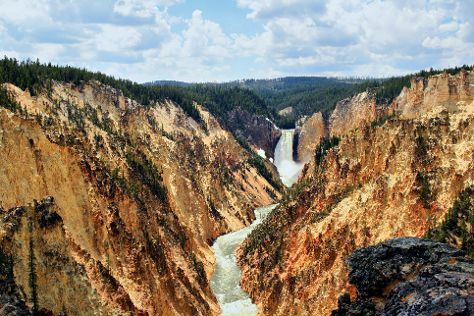 There's much more to do: explore the stunning scenery at Grand Canyon of the Yellowstone, get to know the fascinating history of Beaver Ponds Loop Trail, take in the natural beauty of Old Faithful, and get great views at Observation Point Trail. To find ratings, other places to visit, more things to do, and more tourist information, read our Yellowstone National Park trip maker tool . Traveling by combination of flight and car from Portland to Yellowstone National Park takes 7 hours. Alternatively, you can do a combination of flight, shuttle, and bus; or drive. Due to the time zone difference, you'll lose 1 hour traveling from Portland to Yellowstone National Park. Traveling from Portland in April, expect Yellowstone National Park to be colder, temps between 6°C and -9°C. Finish your sightseeing early on the 10th (Fri) so you can travel to Hulett. Hulett is a town in Crook County, Wyoming, United States. Kick off your visit on the 11th (Sat): see the interesting displays at Hulett Museum, contemplate the geological forces at Devils Tower National Monument, then appreciate the history behind Wind Circles, and finally admire the masterpieces at Rogue's Gallery. To see other places to visit, ratings, maps, and tourist information, you can read our Hulett attractions site . Use the Route module to find suitable travel options from Yellowstone National Park to Hulett. Traveling from Yellowstone National Park in April, things will get a bit warmer in Hulett: highs are around 15°C and lows about 0°C. Finish your sightseeing early on the 11th (Sat) to allow enough time to travel to Keystone. 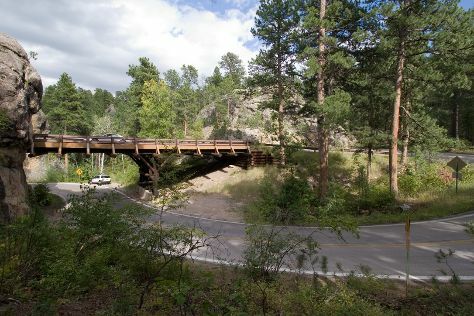 On the 12th (Sun), take a memorable drive along Iron Mountain Road, then stroll through Presidential Trail, and then explore the wealth of natural beauty at Mount Rushmore National Memorial. To see more things to do, traveler tips, photos, and more tourist information, go to the Keystone tour builder app . You can drive from Hulett to Keystone in 2.5 hours. In April, Keystone is slightly colder than Hulett - with highs of 11°C and lows of -3°C. Finish your sightseeing early on the 12th (Sun) to allow enough time to travel to Denver. On the 13th (Mon), see the sky in a new way at Denver Museum of Nature & Science, admire nature's wide array of creatures at Denver Zoo, then pause for some serene contemplation at Trinity United Methodist Church, and finally take a stroll through 16th Street Mall. Keep things going the next day: take in nature's colorful creations at Denver Botanic Gardens, steep yourself in history at Byers-Evans House, then explore the world behind art at Denver Art Museum, and finally contemplate the long history of Union Station. To find more things to do, traveler tips, where to stay, and other tourist information, read Denver holiday maker website . You can fly from Keystone to Denver in 3.5 hours. Other options are to do a combination of car and flight; or drive. Expect somewhat warmer temperatures when traveling from Keystone in April; daily highs in Denver reach 17°C and lows reach 1°C. Cap off your sightseeing on the 14th (Tue) early enough to travel to San Antonio. San Antonio is an unincorporated community in Socorro County, New Mexico, United States, roughly in the center of the state, on the Rio Grande. On the 15th (Wed), contemplate the long history of White Sands Missile Range Trinity Site and then identify plant and animal life at Friends of the Bosque del Apache National Wildlife Refuge. To see reviews, more things to do, where to stay, and more tourist information, read San Antonio trip site . The Route module can help you plan travel from Denver to San Antonio. Expect somewhat warmer temperatures when traveling from Denver in April; daily highs in San Antonio reach 28°C and lows reach 7°C. Finish up your sightseeing early on the 16th (Thu) so you can travel to Houston. On the 16th (Thu), explore the different monuments and memorials at Glenwood Cemetery, admire all the interesting features of Bayou Bend Collection and Gardens, and then test your team's savvy at popular escape rooms. On the 17th (Fri), you'll have a packed day of sightseeing: contemplate in the serene atmosphere at Lakewood Church, then explore the world behind art at Museum of Fine Arts, Houston, and then witness the site of a historic battle at San Jacinto Battleground State Historic Site. For ratings, photos, maps, and more tourist information, read our Houston trip planner . Explore your travel options from San Antonio to Houston with the Route module. Due to the time zone difference, you'll lose 1 hour traveling from San Antonio to Houston. Traveling from San Antonio in April, plan for a bit warmer nights in Houston, with lows around 19°C. Finish your sightseeing early on the 17th (Fri) so you can travel to New Orleans. The National WWII Museum and St. Louis Cathedral are good opportunities to explore the local culture. Get some historical perspective at Garden District and Chalmette National Historical Park. Step out of New Orleans with an excursion to Nature & Wildlife Tours in Slidell--about 48 minutes away. There's much more to do: get to know the fascinating history of French Quarter, meet the residents at Audubon Zoo, make a trip to Jackson Square, and stroll through Woldenberg Park. To find maps, more things to do, photos, and other tourist information, refer to the New Orleans holiday planner. Traveling by flight from Houston to New Orleans takes 4 hours. Alternatively, you can do a combination of flight and car; or drive. Traveling from Houston in April, expect nights in New Orleans to be somewhat warmer, around 25°C, while days are a bit cooler, around 25°C. Finish your sightseeing early on the 21st (Tue) to allow enough time to travel to Lynchburg. Lynchburg is a city in the south-central region of the U.S. Start off your visit on the 21st (Tue): learn about winemaking at Lynchburg Winery, then see the interesting displays at Old Jail Museum, then contemplate the long history of Falls Mill, and finally immerse yourself in nature at Tims Ford State Park. To find more things to do, ratings, other places to visit, and other tourist information, use the Lynchburg trip site . Do a combination of car, flight, and taxi from New Orleans to Lynchburg in 6 hours. Alternatively, you can do a combination of flight and taxi; or drive. Traveling from New Orleans in April, plan for colder nights in Lynchburg, with lows around 9°C. Finish up your sightseeing early on the 21st (Tue) so you can travel to Chicago. Start off your visit on the 22nd (Wed): take in the spiritual surroundings of Fourth Presbyterian Church, meet the residents at Lincoln Park Zoo, then admire the masterpieces at The Art Institute of Chicago, and finally appreciate the extensive heritage of Millennium Park. On the next day, engage your brain at Museum of Science and Industry and then take an in-depth tour of Ernest Hemingway Birthplace. To see more things to do, ratings, reviews, and other tourist information, read our Chicago trip website . Traveling by combination of taxi and flight from Lynchburg to Chicago takes 5 hours. Alternatively, you can do a combination of taxi, shuttle, and flight; or drive. Expect little chillier temperatures when traveling from Lynchburg in April; daily highs in Chicago reach 17°C and lows reach 5°C. Wrap up your sightseeing on the 23rd (Thu) early enough to travel to York. York is a town in York County, Maine, United States, near the southern tip of the state. 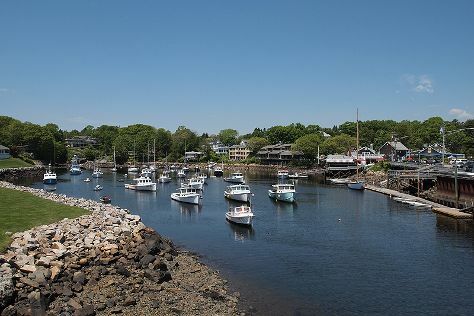 On the 24th (Fri), explore the world behind art at George Marshall Store Gallery, take in the dramatic natural features at Perkins Cove, then appreciate the extensive heritage of Marginal Way Walkway, and finally enjoy the sand and surf at Ogunquit Beach. For ratings, photos, and more tourist information, read our York trip planner . Getting from Chicago to York by combination of flight and car takes about 5 hours. Other options: do a combination of flight and bus; or drive. The time zone changes from Central Standard Time to Eastern Standard Time, which is usually a 1 hour difference. In April, plan for daily highs up to 15°C, and evening lows to 2°C. Finish your sightseeing early on the 24th (Fri) to allow enough time to travel to Wiscasset. Wiscasset is a town in and the county seat of Lincoln County, Maine, in the United States. Start off your visit on the 25th (Sat): identify plant and animal life at Dodge Point Public Reserved Land, then see human ingenuity at work at The Swimming Hole At Bristol Dam, then explore the historical opulence of Castle Tucker, and finally see the interesting displays at Nickels-Sortwell House. To see traveler tips and more tourist information, read Wiscasset trip itinerary planning app . Traveling by car from York to Wiscasset takes 1.5 hours. In April, plan for daily highs up to 13°C, and evening lows to 0°C. Wrap up your sightseeing on the 25th (Sat) early enough to travel to New York City. Do some cultural sightseeing at The Metropolitan Museum of Art and Times Square. Get in touch with nature at East River Waterfront Esplanade and Hamilton Grange National Memorial. Go for a jaunt from New York City to Bronx to see Bronx Zoo about 36 minutes away. 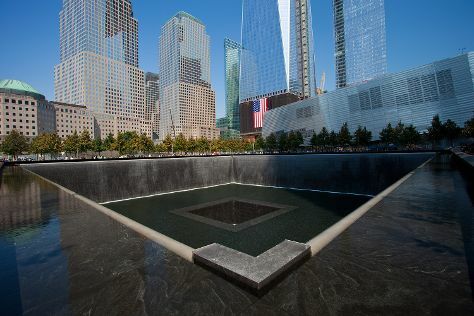 Next up on the itinerary: appreciate the history behind 9/11 Memorial, stroll through Central Park Zoo, pause for some serene contemplation at St. Patrick's Cathedral, and don't miss a visit to Ellis Island. To find photos, traveler tips, other places to visit, and tourist information, go to the New York City online trip builder . The Route module can help you plan travel from Wiscasset to New York City. Plan for a bit warmer temperatures traveling from Wiscasset in April, with highs in New York City at 19°C and lows at 8°C. Wrap up your sightseeing on the 30th (Thu) to allow time to travel back home.